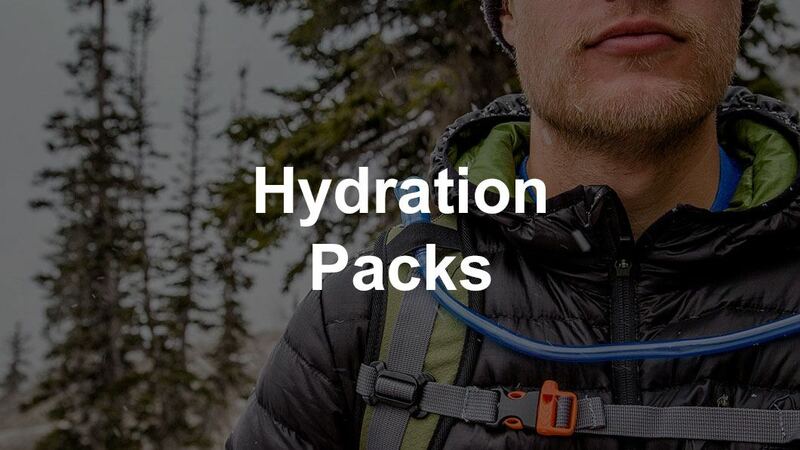 Having the best hydration pack is a must if you want to enjoy your outside adventure and stay hydrated at the same time. 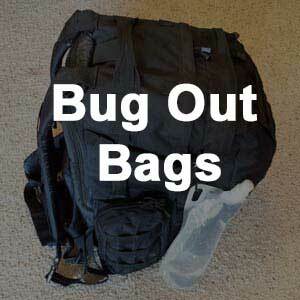 In this article, we are going to look at the top solutions for carrying water outdoors. 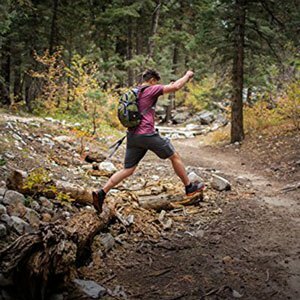 Not long ago, carrying water while running or hiking required a canteen hanging on some form of belt clip or a bottle in your bag. Technology came to the rescue and brought us methods of carrying water while on the move. What we got was awesome hydration packs that can be carried on the back or inside a pack. This frees up our movement so that we can focus on what we are doing outside. 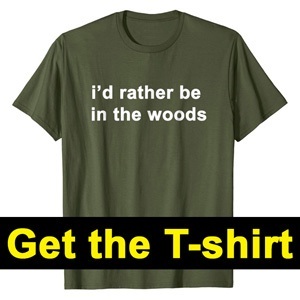 ​Let's check out some amazing options for carrying water next. The first hydration packs were little more than a fabric cover containing the bladder. Over time, the straps were improved and bladder technology became much more reliable. Now carrying water is much more convenient than ever before. 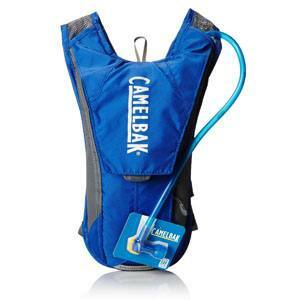 The Oasis 1100 is a large capacity hydration pack that offers every comfort possible. Dimensions: 18.5 " x 10" x 7", Empty Weight: 2 pounds. Features: 1100 Cubic Inches of storage; Bungee cord storage system for extra gear; Rain cover included. Multiple adjustments allow for several body types and sizes for long term wear and use. Overnight campers who specialize in sparse equipment will get a lot of value out of this pack. 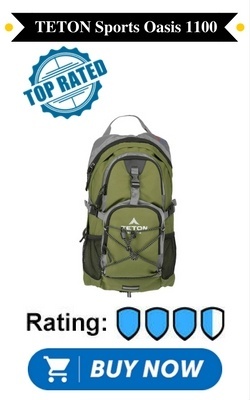 The 1,100 cubic inch storage capacity includes one large pocket, two smaller zippered pockets, and two mesh pouches for the greatest amount of storage of any pack on this list. As one would expect, the Trailrunner was designed with a little extra support, durability and breathability to provide hydration for runners. Dimensions: 16" x 10" x 2", Empty Weight: 0.9 Pounds. Features: Breathable mesh back panel with quick drain drip hole, kink-free sip tube, built-in orange whistle. Due to the intended purpose of this pack, there is not any internal storage, but there are a few bungee style cords on the outside should they be needed. The reflective trim increases a runner’s visibility at night. 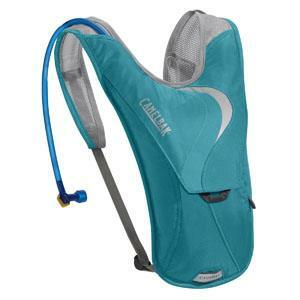 ﻿The Trailrunner﻿ is by far the best hydration pack for running​, whether you're on the trail or not. The Camden Gear 1.5 Liter pack offers light weight in addition to the three convenient storage pockets, making it suitable for an overnighter. Dimensions: 2.8” x 10.3” x 15.9”, Empty Weight: 0.9 pounds. Features: Adjustable shoulder/chest straps, multiple water-resistant storage compartments. The Camden Gear is a great alternate choice if the other two we covered are not quite your style. Another minimalist pack, the HydroBak is best suited for a day hike. Dimensions: 3” x 10.5” x 13”, Empty Weight: 0.63 Pounds. Features: Lightweight mesh harness, external fill reservoir, essentials pocket, HydroGuard technology to inhibit the growth of harmful bacteria. The lighter weight of the pack and lower volume bladder are just what someone might be looking for in a day-tripper hydration pack. 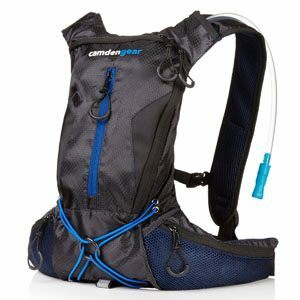 The Unigear Tactical has one of the larger bladders at 2.5 liters and provides extra water needed to finish those last few miles. Dimensions: 19" x 10" x 1.5", Empty Weight: 22 Ounces. 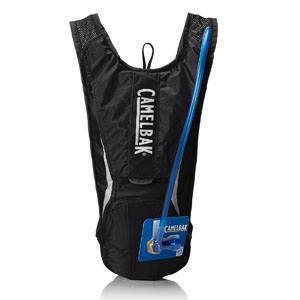 Features: Adjustable shoulder/chest straps, BPA free bladder, two front pockets. If you want a pack that won't make you stick out in the woods, then consider this unit since it comes in a few different camouflage patterns. The Hydrobak is designed for the cyclist. Dimensions: 3.5” x 9” x 13”, Empty Weight: 0.56 Pounds. 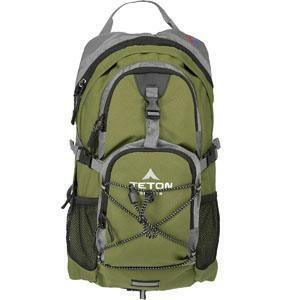 Features: 210D nylon, single front pocket. The cut is swept back in a narrow profile to provide for extra movement. There is a small pocket for your GPS or cell phone, but that is about all a person could hope to carry in this very lightweight pack. With a carrying capacity of 2 liters, the Rogue is the thirsty hiker’s dream. Dimensions: 5.9” x 11” x 15.5”, Empty Weight: 0.94 Pounds. 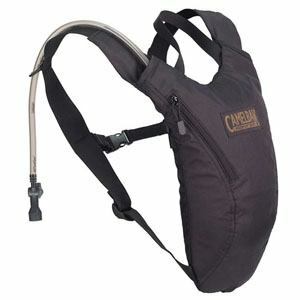 Features: External fill bladder, two small external pockets, twin compression. It is unlikely that even the most adventurous trekker would become short on water with this product on their back. What is surprising is that even with the added bladder size, this pack still offers two small storage pockets. 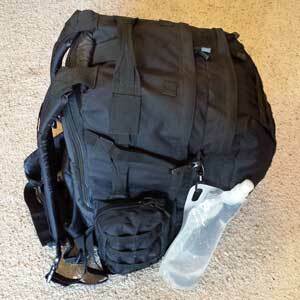 The pack can be compressed with the included straps when empty. The Rogue is by far the best hydration pack for hiking​, especially for those longer distances. Here is another hydration pack designed for bikers. Dimensions: 3.5” x 7.5” x 15”, Empty Weight: 0.79 Pounds. 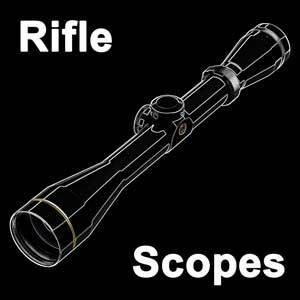 Features: external fill bladder, quick release. The quick release flap is an added convenience for those who do not want to interrupt their trip for very long in order to access their water supply. 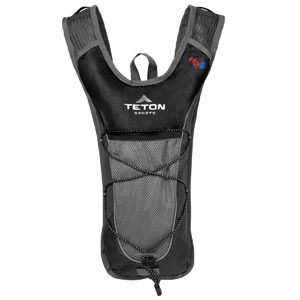 The Classic is the best hydration pack for mountain biking​. The straps are designed with biking in mind so runners should check out the next option as a better solution unless checking strap tension periodically is not a concern. 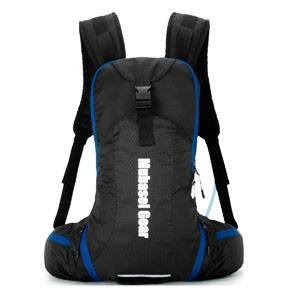 The Mubasel Gear is a pack designed for runners. Dimensions: 3.2” x 9.1” x 10.5”, Empty Weight: 1.1 Pounds. Features: One small zip pocket, large main storage and two five small storage pockets, BPA-Free leak-proof bladder. Many runners experience heat and sweat build-up between their body and their hydration packs. During an extended or more rigorous run, this can become uncomfortable or distracting. The Mubasel incorporates specially designed straps and back padding to help absorb and expel moisture and sweat. The added padding increases comfort when running. 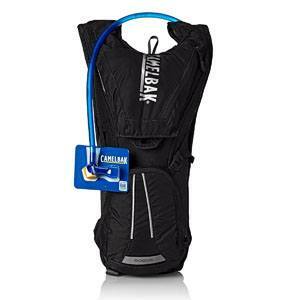 These features make this one the best running hydration pack​. This is a smaller pack with an attractive, slim design that incorporates smaller straps designed for women. Dimensions: 4” x 7.5” x 12.5”, Empty Weight: 0.71 Pounds. Features: External fill bladder, minimalist design. If you need a pack that is a little more feminine than the other units on the list, this is the one. Packs and bladders are similar in that they both hold water. However, packs are nice because there is a carrying case wrapped around the built in bladder. If you are just looking for a bladder, maybe to replace an old one in one of your bags, you are in luck. We will go over one of the best options next. 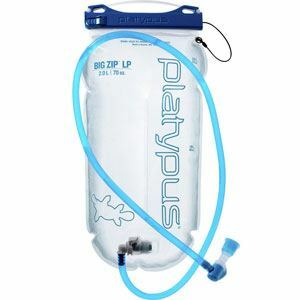 ​The Big Zip LP bladder by Platypus is a tough water bag that can hold up to a lot of wear and tear. It comes in multiple sizes, which includes 1.5, 2, and 3 Liters. That way you have some flexibility in fitting it in your existing bag of choice. The bladder is made from tough Polymers, but skips all of the nasty chemicals that you don't want. 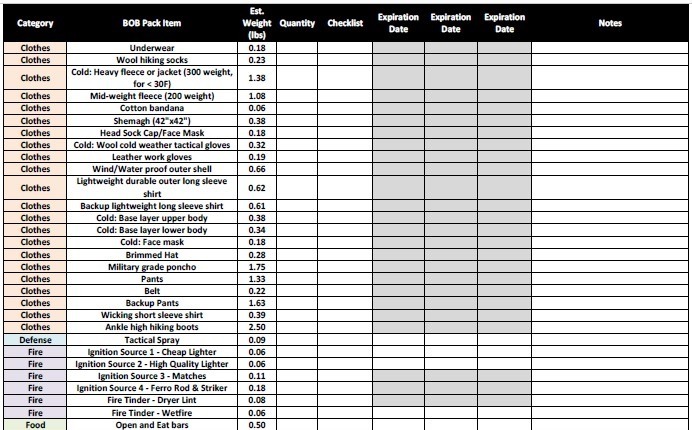 Hydration packs begin to appear the same on a store display, but as the preceding list shows, packs vary greatly. 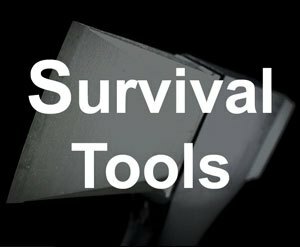 If you need a single pack for a specific task, you would do well to examine all the options in front of you. Many people though opt for two or more different style packs so they are not trying to force one unit to do a job for which it was not designed. 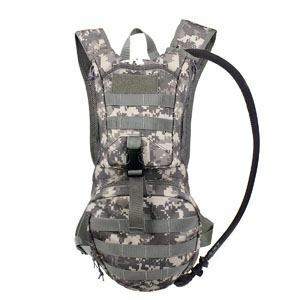 In the end, the main purpose of a hydration pack is to keep you hydrated utilizing water bladder technology. These rubberized containers often leave water tasting unpleasant when first used, but this can often be remedied. To remove the bad taste of a new bladder, simply wash it out with warm water and your choice of lemon juice, vinegar or soap and water. To ensure the longevity of your hydration bladder, empty it completely after use and make sure it hangs in a clean, dry area. Even those bladders treated with anti-bacterial properties become unusable if stored improperly. Treat your pack right though and it will last a very long time. As a reminder, you can live for about 3 days without water. 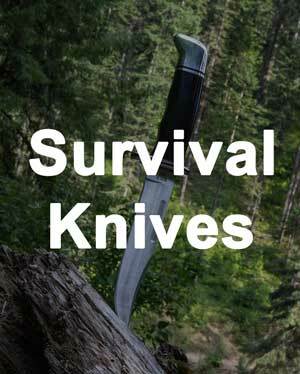 If you are going to be out in a remote area, it's a good idea to have a fall back plan for water purification.